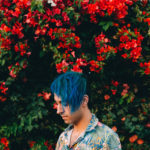 Luca Lush just flew in with his latest heater, “Promise,” at the perfect moment before the weekend kicks off. The rising producer has experimented with his production styles over the past couple months, dabbling in anywhere from jersey club to melodic dubstep to anywhere in between. “Promise” serves up a luscious plate of future house basslines, soul-saturated vocal samples from Ciara, and an underlying beat that will bring anyone’s feet into a shuffle.